With a simple, straight crossguard and a disc pommel, the medieval knight sword or knightly sword remains one of the most classic Middle Age sword styles, appearing in numerous pieces of art from the period. Popular from the 12th century to the 14th century, the historical knight sword was light enough to be used from horseback, yet it could be wielded as a powerful two-handed sword when on foot. Its maneuverability gave it great effectiveness against the chainmail armor of the 13th century, leading to its increase in popularity. Buying a Sword carries many superb knight sword replicas for combatants, re-enactors, and weapons collectors to enjoy. Crafted by great manufacturers like Darksword Armoury, Art Gladius, and Legacy Arms, these medieval swords are made with a focus on authentic style and excellent craftsmanship. Whether you are dressing as a medieval warrior or want a unique accent piece for your home, you can find the perfect functional knight sword or knight display sword here at Buying a Sword. Whether fighting another ship or bombarding a port town, a pirate needs a trustworthy blade at his side! 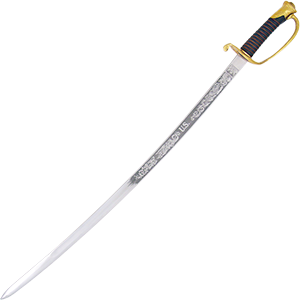 The pirate swords that we offer at Buying a Sword include a variety of naval swords suitable for swashbucklers and sea captains of all kinds. 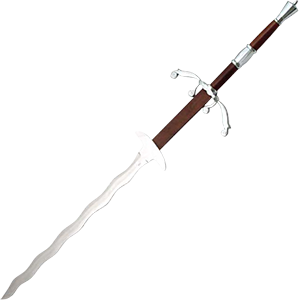 These buccaneer swords come as hanger swords, boarding sabers, spadroons, privateer swords, officer swords, and pirate cutlasses, giving you plenty to choose from as you pick out your next weapon. 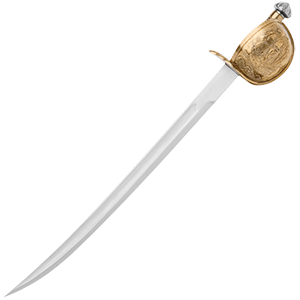 We provide battle ready swords that you can use in training, as well as decorative swords that work great as pirate costume accessories and unique display pieces. 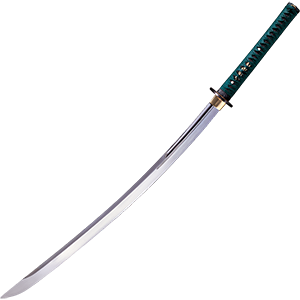 Our sailor swords and captain swords offer great opportunity for anyone who prefers combat on the high seas. 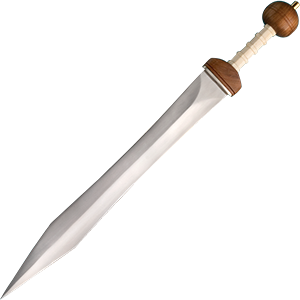 Transport yourself back to the Golden Age of Piracy by picking one of these high quality pirate sabers for your collection! 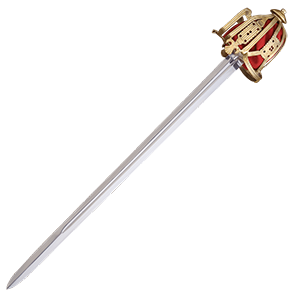 Developed in the 1500s from Spanish dress swords, the historical rapier gained popularity in the 16th and 17th centuries as a slender, sharply pointed thrusting sword used in unarmored combat. 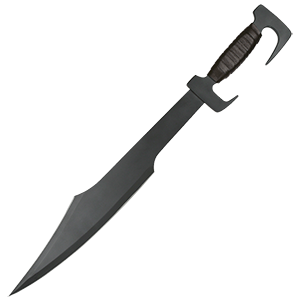 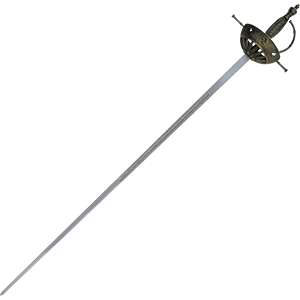 Ideal for self-defense, civilian rapiers became lighter and shorter over time, whereas military rapiers evolved into colichemarde swords and small swords. 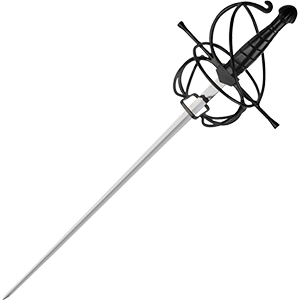 Due to a lack of distinguishing terminology during their period of historical use, Renaissance rapiers can encompass a wide range of styles often influenced by the countries in which they were used. 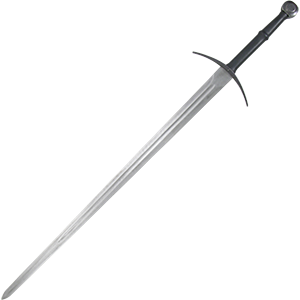 At Buying a Sword, we offer an excellent variety of fencing swords and dueling swords, as well as many other kinds of rapiers. 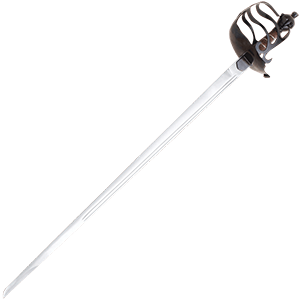 Our collection of functional rapiers and decorative rapiers display many unique handles with ring guards, cup hilts, swept hilts, and wire hilts. We include colichemarde rapiers, Musketeer rapiers, Italian rapiers, Spanish rapiers, and Renaissance small swords among our fine historical sword replicas, ensuring that you will have plenty of options when picking out your next Renaissance blade! 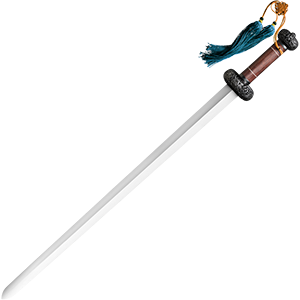 Sword canes experienced a growth in popularity during the 18th and 19th centuries when it became less socially acceptable to openly carry a sword. Swordsmen and even ladies invented a way to evade this restriction by concealing a blade within a walking stick. 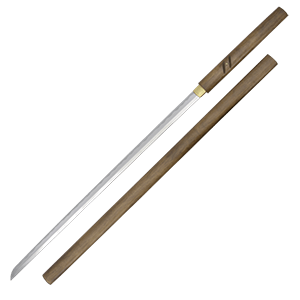 At Buying a Sword, we provide an excellent inventory of high quality sword canes from top manufacturers like Cold Steel, Kit Rae, and Windlass. 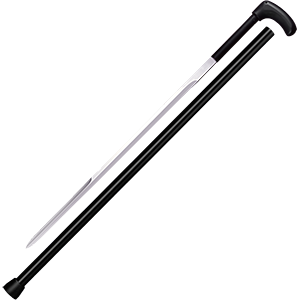 These functional sword canes are crafted with high carbon steel blades and cane materials like hardwood, carbon fiber, and aluminum. 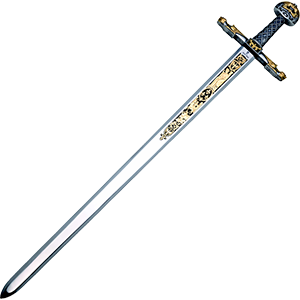 Many feature ornate handles and hilts with fantasy sword cane designs like dragons and traditional sword cane designs like cobras, lions, and dogs. 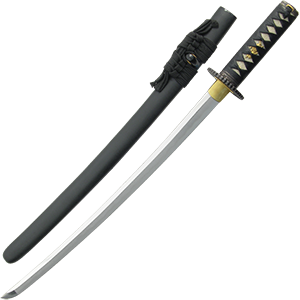 Browse among these excellent self-defense canes for the perfect period accessory for your home arsenal. 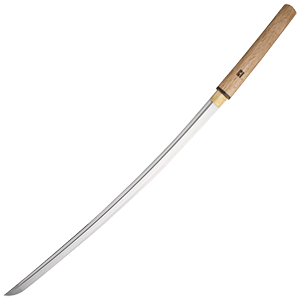 Please note that it is the responsibility of the purchaser to check and comply with any and all state, local, and federal laws regarding the owning, carrying, and usage of bladed weapons like sword canes. 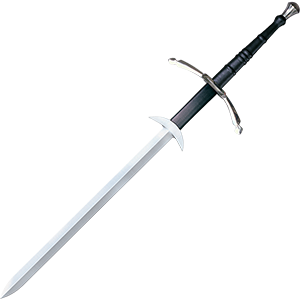 The most defining trait of two handed swords remains the requirement of both hands in order to wield the weapon. 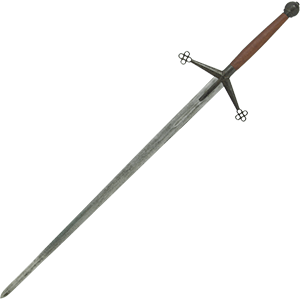 These large Renaissance swords remained in popular use throughout the 15th and 16th centuries, and they could reach up to six feet in length in the largest examples. 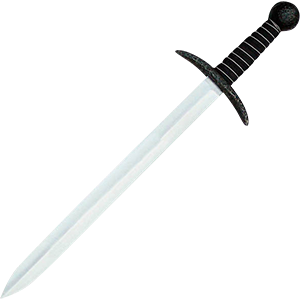 Double handed swords were also sometimes called Zweihanders and great swords. 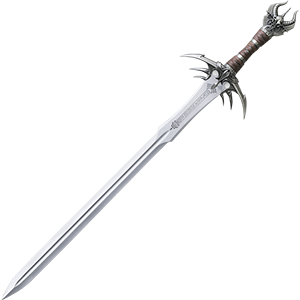 In battle, functional two hand sword could be swung powerfully in order to crush the heavy armor of opponents. Following the disappearance of armor due to the growing use of firearms in the late 16th century, most two handed swords began to be used as ceremonial weapons. 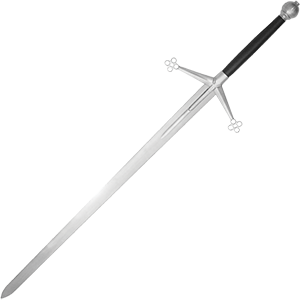 At Buying a Sword, we carry many excellent battle ready and decorative two handed swords in a range of styles. Our selection includes two handed Viking swords, two handed Danish swords, two handed Crusader swords, and two handed fantasy swords, among other designs. Whether you are looking for an impressive weapon to display or a powerful training sword, you will discover excellent options here. The legendary outlaw of Sherwood Forest, Robin Hood appears in English folklore as a benevolent thief who steals from the rich to give to the poor. 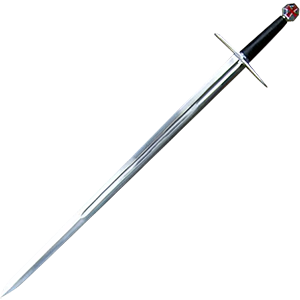 He and his Merry Men have been featured in many films and other popular media ever since gaining popularity during the late-medieval period. 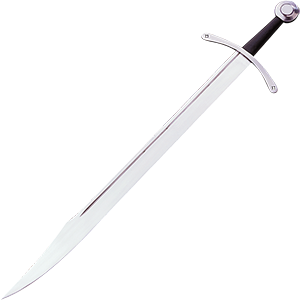 It is unknown whether a real Robin Hood ever existed, though many historians have theorized about possible candidates who may have inspired the tales, such as Robin of Lockley. Buying a Sword celebrates this famous figure by offering a number of fantastic Robin Hood swords for collectors and re-enactors to enjoy. These functional swords and decorative swords come in many styles, including Robin Hood movie swords from the film by director Ridley Scott and others in various medieval sword designs. Whether you want to perform as Robin Hood on stage or show off an eye-catching sword in your home decor, you can find superb options here.